A Miami Wedding Planner is always searching for that next, perfect location to recommend to clients. Some locations can be quite large. Others can pose logistical challenges. 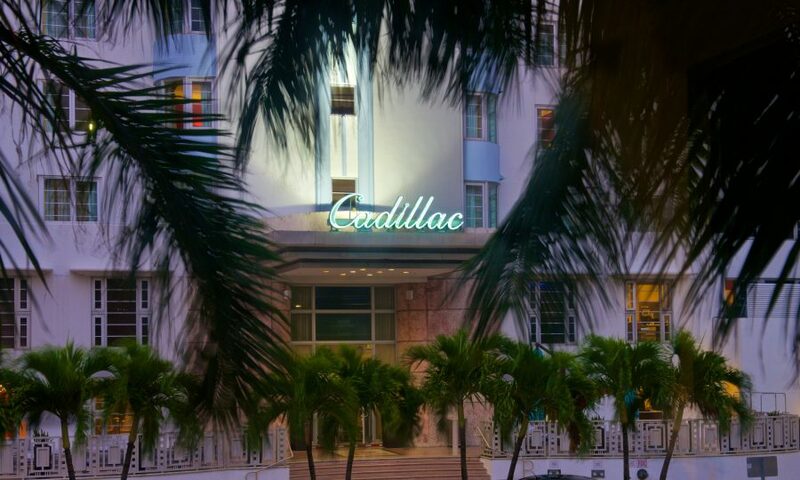 The Cadillac could be the perfect location for our wedding clients in Miami Beach, with a guest count of 50-150. Located on the 39th block of world-famous Collins Avenue, the Cadillac features two Art Deco towers placed on Miami Beach – known throughout the world as one of the top beaches. Your Miami Wedding Celebration begins with a beautifully designed welcome party at the Cadillac’s Pool Bar. Existing setup is ideal, with the stranded bistro lighting, tables and chairs. Poolside Ceremonies can also be arranged for smaller wedding parties, offering a nice garden feel. Follow up the ceremony with a spectacular cocktail hour designed and executed by A Modern Romance, your Miami Wedding Planner. With the right lighting, centerpieces, linens and other décor, your wedding vision will come to life, with the sparkling pool and the Historic Cadillac Hotel as your backdrop. The Cadillac also offers on site catering with menu options designed for large groups, and more intimate wedding parties. Host the reception in their 2,300 square foot ballroom, out on the pool terrace or both. The property offers a wide array of setup options for your special day. Off-site catering is allowed for Kosher and Indian Wedding Groups as well. We are happy to have added The Cadillac Hotel to our list of Preferred Properties, along with their sister properties: Blue Moon and Winter Haven. All three properties are stunning, well-appointed and perfect for your Miami Beach Wedding!